The Citation CJ’s first flight was on April 29, 1991, with its first delivery on March 30, 1993. 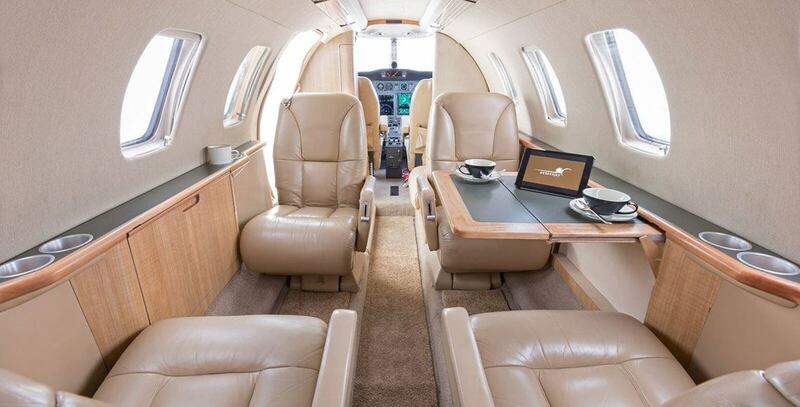 The Citation Jet, or CJ, is geared for anyone looking for an entry-level private business jet. 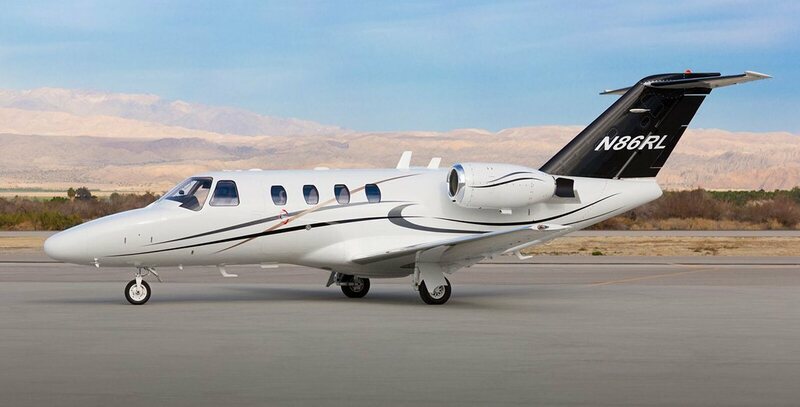 Cessna further simplified the Citation CJ by making it easy to fly and operate by a single pilot. The Citation CJ1 has seating arranged for five, which is a typical configuration for this size of aircraft. The cabin dimensions are 4.7 feet high, 4.8 feet wide, and 11 feet long. The first Citation Jet Model 525 was launched in 1989 as a direct replacement for the Citation and Citation I. Redesigning most of the aircraft, the Citation Jet used a modified version of the Citation’s forward fuselage, added a new super-critical laminar flow wing and T-tail design. The CJ is powered by two Williams FJ44 turbofans which produce 1,900 pounds of thrust each. These engines were designed to have 1/3 less moving parts then most other engines of that time, while also consuming 30% less fuel. With engines that produce considerable power, the CJ is able to take off and land at most short field airports. For example, the CJ can takeoff from a sea level airport in 3,080 feet and 5,710 feet at an airport with an elevation of 5,000 feet. The aircraft can also climb to 37,000 ft. in 25 minutes and reach a high speed cruise of 378 knots. The max certified service ceiling for the CJ1 is 45,000 ft. at a long range cruise speed of 323 knots. 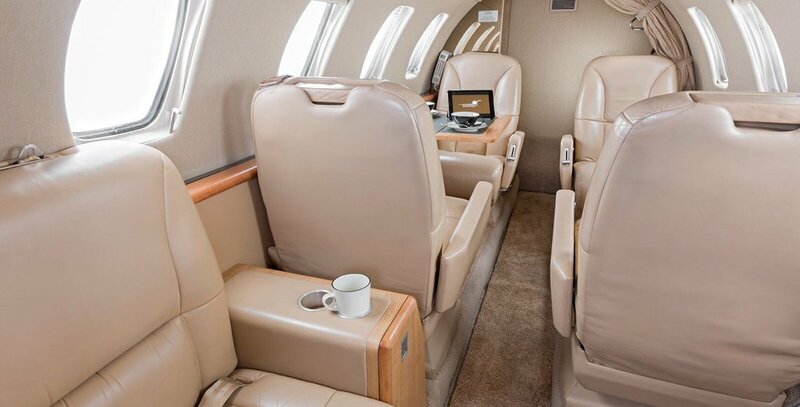 This jet is ideal for trips that are just over an hour long. An example of max passenger ranges nonstop would be Los Angeles to Aspen or Washington, D.C. to Miami. Other features found on the Citation CJ1 are upgraded EFIS avionics along with simplistic operations to allow for single pilot certification. The fuselage of the CJ1 is 11 inches shorter than the Citation I’s, but has a lowered center aisle for increased cabin height. Three words to sum up the CJ would be simplicity, economy, and performance.